On 3 December 2012, co-president of the Syrian Democratic Union Party (PYD), Mr Saleh Muslim, briefed a packed room in Westminster on the latest developments in Syria and the role and objectives of the Kurds in relation to the ongoing conflict. The meeting titled “Syria, the Kurds and the New Middle East” was hosted by Jeremy Corbyn MP, and sponsored by Liberation and Peace in Kurdistan campaign. Also present at the meeting were representatives of the National Coordinating Body for Democratic Change (NCB), Support Kurds in Syria, and members of Kurdish community organisations in London. This appeal was written In response to calls for action made at the meeting and is issued jointly by Peace in Kurdistan and Liberation. 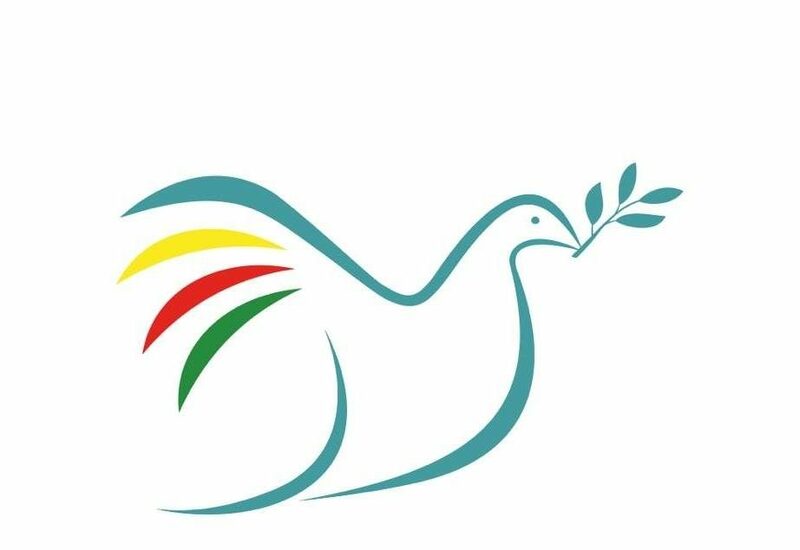 Peace in Kurdistan and Liberation wish to put on record our grave concerns at the increasingly deteriorating situation inside Syria where the conflict shows few signs of abating. We are concerned that the people of Western Kurdistan are being drawn into the wider social conflict raging throughout the country and we believe that the increasingly desperate situation in parts of the Kurdish region, which has seen an influx of refugees from other parts of Syria, is not receiving the proper recognition by the outside world that it deserves. It is a concern in particular that international aid organisations are not sending aid to assist the region in supporting these refugees which as a consequence is facing hardship and dwindling of resources. The Kurdish region under the leadership of the PYD and its allies has remained in relative peace until recently when it faced provocations from opposition groups seeking to provoke clashes in towns like Ras al-Ayn in November. It is of concern that these militants have sought to draw the Kurdish region into the conflict and in this manoeuvre they have had the explicit support of the NATO-backed Turkey, which has hosted the Free Syrian Army and accommodated the Syrian National Council. Furthermore, we express our concerns that the newly formed opposition group, the Syrian National Coalition, which has now been recognised by Turkey, the UK, the US, France and the Gulf States, had refused to invite the PYD to participate in its founding conference. This has exposed the shallowness of its claims to be a genuinely representative coalition of all opposition groups and bodes ill for the future if the main Kurdish group is not to be fully represented in a post-Assad settlement in Syria. We recognise that the Kurds have natural suspicions as to the true motives of Turkey which continues to deny rights to its own Kurdish population that the Kurds in Syria have been increasingly successful in achieving during recent months. Ankara’s foreign policy objectives inside Syria remain unclear and the likelihood of it being prepared to permit the achievement of democratic rights for the Kurds in a future Syria is at best uncertain. We would like to point out that the PYD is the largest supported Kurdish organisation inside Syria; it is a founding member of the National Coordinating Body for Democratic Change in Syria, and it was the first political party to declare and introduce a comprehensive resolution to solve the Kurdish question and democratise Syria. It has united with other Kurdish parties to form the Kurdish Supreme Council, which now jointly administers and protects the emerging Kurdish administration in Western Kurdistan. The PYD’s project of ‘self-governance’ demonstrates how it is possible to challenge an oppressive state through mass popular action by peaceful means and without foreign intervention, military or otherwise. The erroneous allegation that the PYD is simply an off-shoot of the PKK (Kurdistan Workers’ Party) should be repudiated as a cynical attempt to deny the legitimate demands made by the party and the people of Western Kurdistan for self-governance. The PYD was established in 2003 to represent the Kurds in Syria and is founded on the heritage and struggle of the Kurdish national liberation movement. The party declares itself to be an ethical political party promoting social equality and a culture of democracy and tolerance. It aims to resolve the Kurdish question inside Syria based on democratisation of the country and on the right to self-determination through a system of Kurdish democratic self-governance. It is working on democratise the authoritarian Syrian state structures and establish a truly democratic society, where everyone is recognised under the constitution and can live together freely. The PYD is a national public political party that believes in social equality, justice and the freedom of belief. It supports pluralism, the freedom of political parties, implementing a democratic means and a peaceful political dialogue in addressing its issues and achieving its goals. It is striving for a democratic solution that includes the recognition of cultural, national and political rights. It develops and enhances the peaceful struggle of the Kurdish people for self-governance in a pluralistic, democratic society. We urge support for and protection of the peacefully established and self-governed Syrian Kurdish region, which is hosting around 500,000 Syrian refugees who have been fleeing violence elsewhere in the country. We call for recognition of the right to self-determination for the Kurds, as Syria’s second largest minority, within a plural and democratic constitution. We urge support for the drawing up of new constitution which recognises the national and cultural rights of the Kurdish people, including the right to speak Kurdish and the opening of schools and universities that teach in Kurdish. We call for the lifting of all discriminatory policies against the Kurds and that all displaced people are able return, that the citizenship be returned to those from whom it had been stripped by the Assad regime. We believe that without justice and recognition for the Kurds, Syria will never become a truly democratic and pluralistic society nor will it achieve a lasting peace.